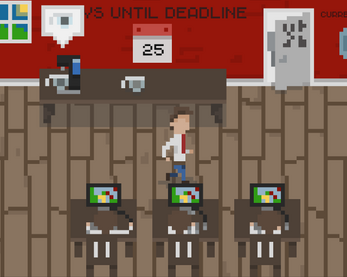 This game was made for the Ludum Dare 39 - Running out of Power game jam. It was submitted for the Compo. You've gotten the glorious task of securing a steady stream of coffee for your hardworking game developers, to make sure that they don't run out of their creative powers!